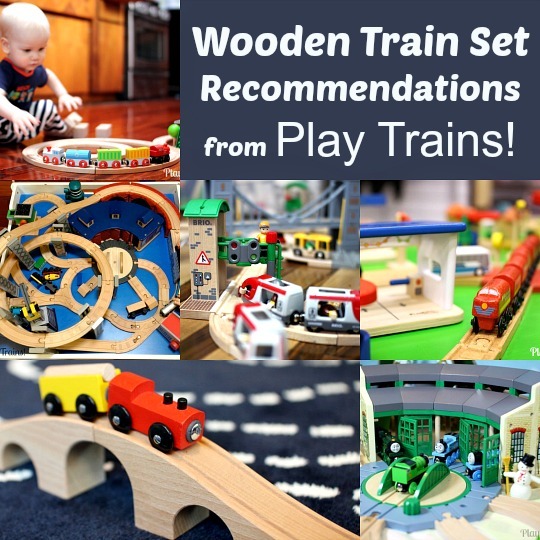 One of our favorite ways to keep train play interesting is to combine our wooden trains with building toys. 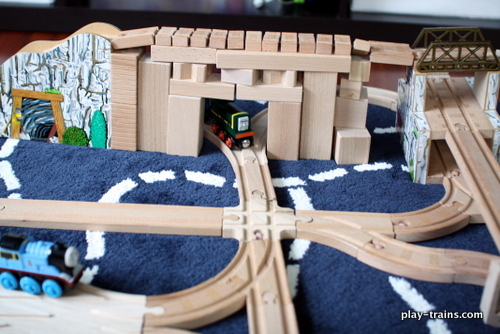 I’ve been wanting to incorporate our marble run into a train layout for a long time, and — finally! — we set aside an afternoon to figure it out. 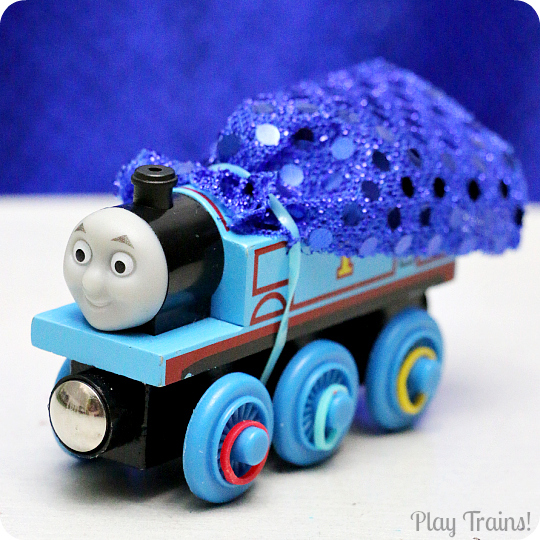 After learning through trial and error, the result was an irresistible train play setup that was especially fun to play with together. 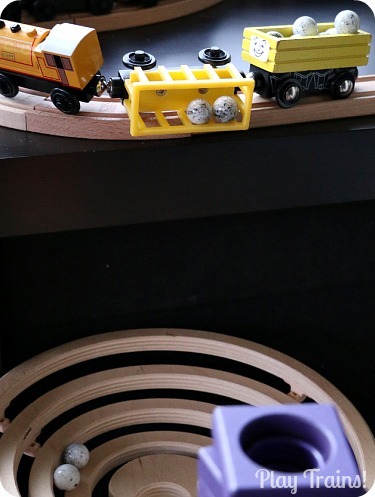 While you could combine any marble run with toy trains with a little imagination, it turns out that the marble run we own was an especially good one for us to choose, because it’s uniquely suited to being combined with toy trains. But I’m getting ahead of myself. I’ll show you that part when the marbles get to it. The Little Engineer had been fascinated with a local toy store’s display of a Quadrilla Marble Railway (appropriate name to go with this activity, right?) for over a year when he got his own for Christmas. He was three at the time and thrilled with the present, but too young to do much of the building himself. Fortunately for him he has two geeky parents who enjoyed building it for him. Well, we enjoyed it as long as he did his best to avoid accidentally knocking it down before we were finished! A year later, at the age of four, he is much more involved with the building aspect, and I love that this is a toy that will continue to challenge him for years. 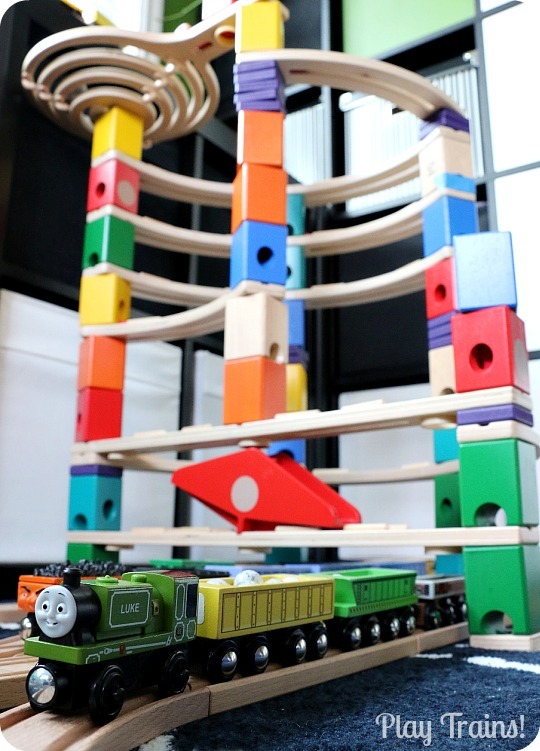 Thinking to recreate the upper and lower levels of the Blue Mountain Quarry from Thomas & Friends: Blue Mountain Mystery, we set our marble run up near a shelf that was tall, but low enough for the Little Engineer to reach. On top of the shelf, I built a small loop of track for the narrow gauge engines to bring “stones” to the quarry’s “new cargo drop”. The Little Engineer and I had been planning for this for awhile, so on a trip to a toy store, I’d had him pick out the marbles that he felt looked the most like stone, these “Cow” marbles from Mega Marbles. 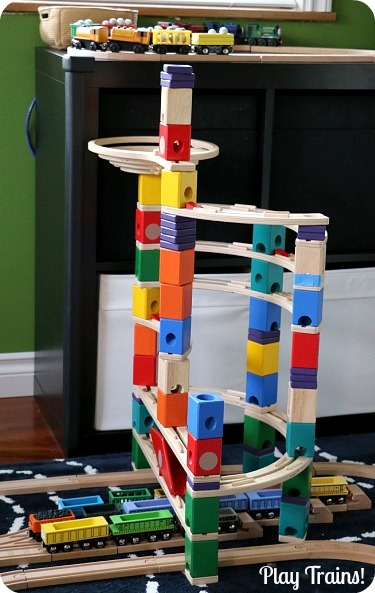 When it came to building the marble run, there were a few things to consider. The spiral needed to be right next to the shelf, so that we could tip the freight cars and drop the marbles into it. We needed to build it as tall as possible, but in such a way that it would also be as stable as possible, which meant it couldn’t just be a flat, straight, 2-dimensional structure. The marbles needed to eventually fall through two particular holes into freight cars, and there needed to be some straight tracks positioned directly underneath the holes. We incorporated those straight tracks into a larger train layout, including a little train yard to line up empty freight cars for our engines to couple up to. 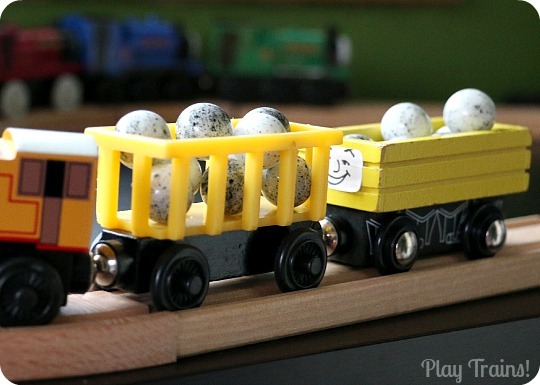 When it was time for the “stones” to go from the upper quarry terrace to the freight cars waiting at the bottom, we just tipped the freight cars and let the marbles drop into the marble run’s spiral. When the marbles dropped in, they didn’t have the horizontal momentum that the spiral was designed for, so some of them went straight down into the run, and some had to be coaxed into action. We didn’t mind that at all. It added an extra point of interaction to the set up, and an extra measure of control that the Little Engineer could exert over the filling of the freight cars. 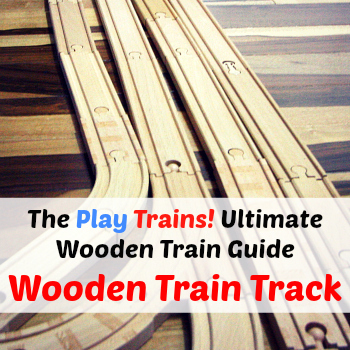 Now comes the part where I can show you how this marble run is perfect for train play. When the marbles neared the bottom, they filled up the big, red tippy thing (I’m sure there’s a better name for it, but I’m not sure what it would be). When enough of them landed in it (or when one of us decided to intervene), it tipped over and sent them through the hole in the horizontal marble rail above the freight cars. First, the rails and those holes allowed us to directly fill the freight cars, and second, the number of marbles it took to fill a freight car was about the same as the number it took to fill the red tippy thing. It was like the toy company had planned it that way! 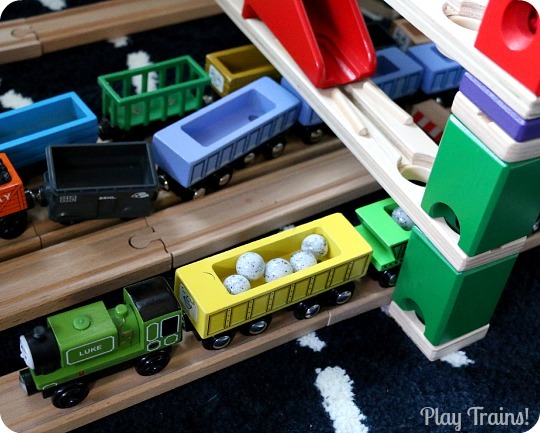 The great thing about this marble run and train layout combination is that it accommodated two people playing especially well. One of us could be playing with the trains up at the top, loading marbles into their freight cars, and then tipping them into the spiral and sending them on their way. 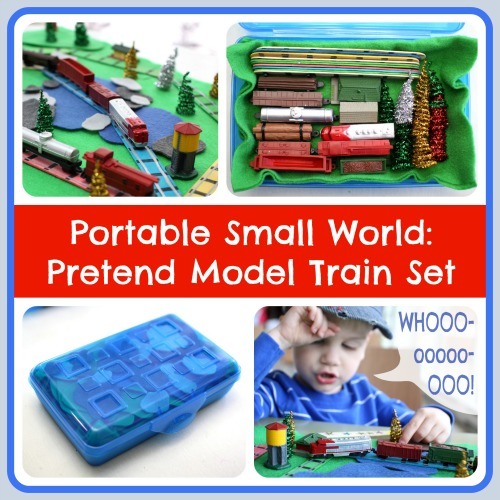 Meanwhile, the other could be playing down below, moving the trains forward as each freight car filled up and dealing with the inevitable marble pile ups and other imperfections in the process. 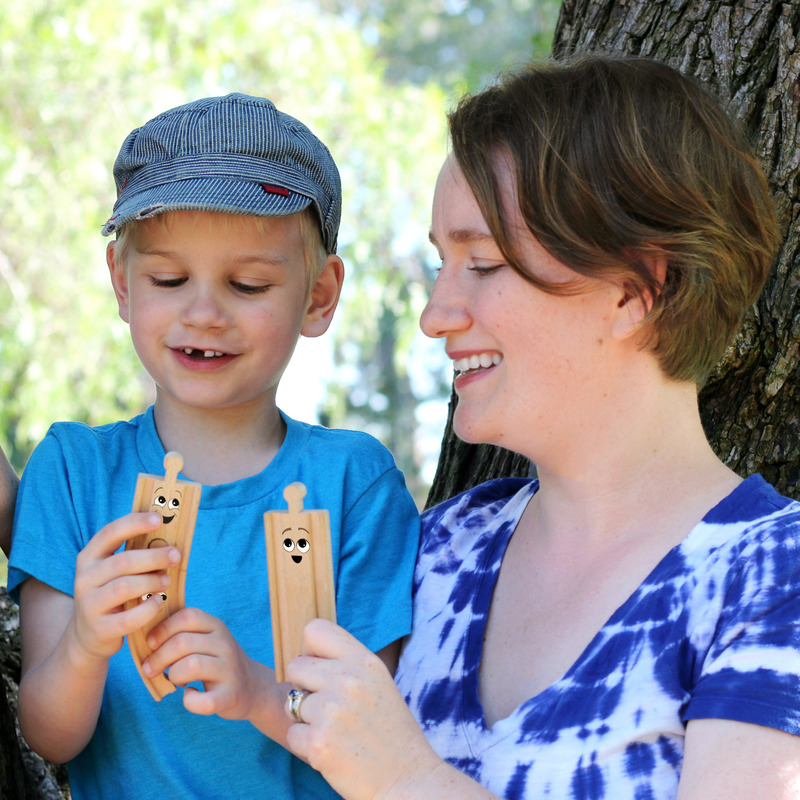 I suspect this might be a good activity for younger and older siblings to work on together, with a school age child building the marble run and the younger child helping. The one thing to be careful of on is that marble runs — in general, and this one in particular — require some care if you’re going to avoid knocking them down before you’re finished building, so the younger child in the equation would need to be likely to be careful enough not to frustrate the older one too much. 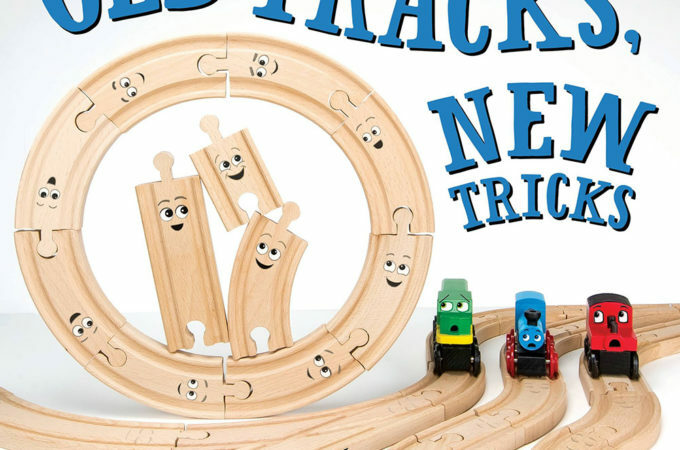 I also really liked that not only did this add a new dimension to train play, but it also made playing with the marble run more interactive. Usually, I kind of think of marble runs, once they’re built, as something you just drop marbles into an observe where they go. But in this case, there were several points where we were interacting with the marbles when they were already in the marble run, and there was a lot more problem solving going on along the way. 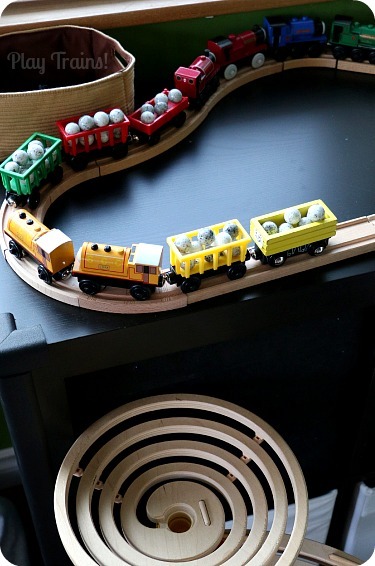 I have always loved the look of the Quadrilla Marble Railways, and now I love ours even more for how perfectly it works with our wooden trains. 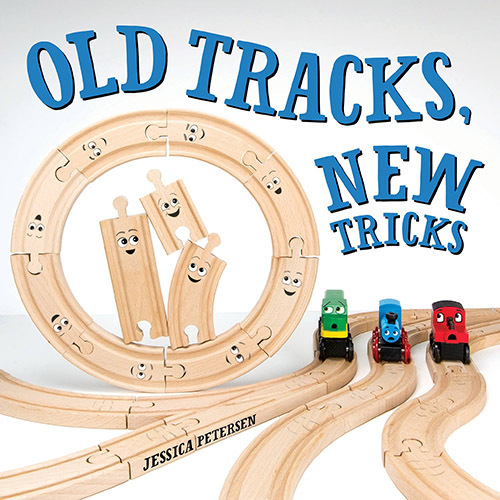 In addition to the Blue Mountain Mystery movie, the books that go along with the movie would be fun to read before, during, or after this train play activity. Our favorite is the Big Golden Book version the story, both for its large format and the somewhat lengthier text than the Little Golden Book version, but they’re very similar and the Little Golden Book is much easier to find. You can also read the story in the Pictureback format under the title Risky Rails!, or as an early reader called The Secret of the Green Engine. Oh my word!!! I LOOOOOOOOVE this idea. My Engineer would be going nuts with this. We will have to try this out soon. 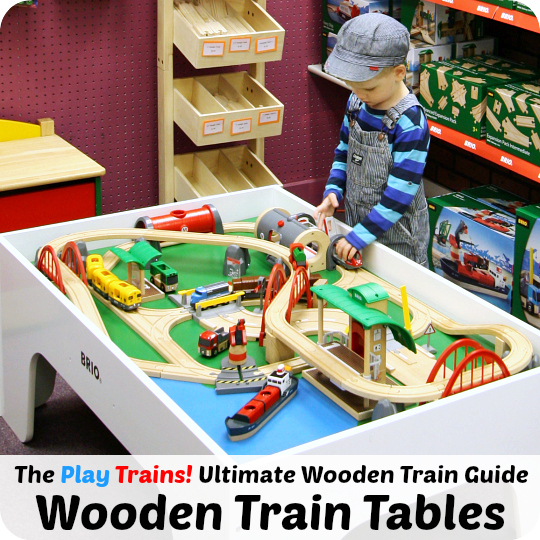 I cannot wait to see the smile on his face from combining his train sets with a marble run. Thanks so much for the idea. Yay! I’m always pleased to come up with a good one for your Engineer! Let me know how it goes! Hi Lisa! I’m working on a post on this exact topic…it’s a very common question. The most economical freight cars I know of that can be purchased individually are the Circo ones at Target, but it doesn’t look like you have Target stores in Puerto Rico. I would look at some of the Imaginarium sets from Toys’R’Us…they’re a less expensive brand, and I really like their freight cars. 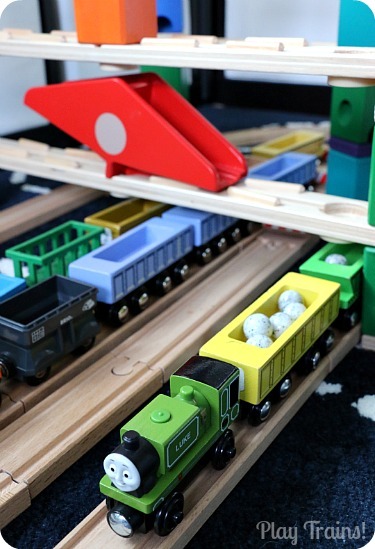 Brio and Bigjigs both sell freight cars (and to a lesser extent, Thomas Wooden Railway), individually and in sets, that have removable freight (you can find them on Amazon). I hope that helps!